Did you know that the next cineclub in Bath is Le Chat du Rabbin? Alliance Française de Bath is showing its first film for 2014 next Friday and it is called, The Rabbi’s cat. 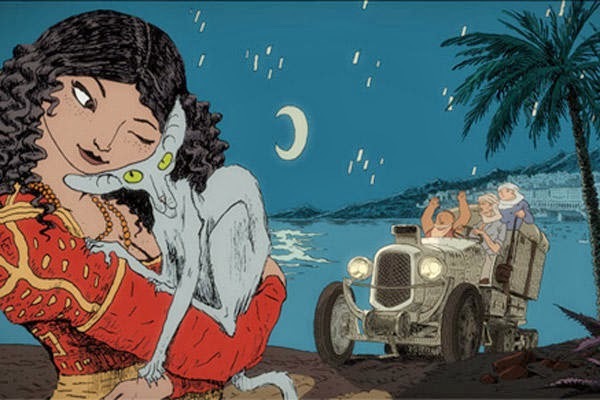 It is an animation film by Joann Sfar and Antoine Delesvaux with the voices of François Morel as the cat, Maurice Bénichou as the rabbi and Hafsia Herzi, his daughter. The cineclub is for students studying French at Alliance Française de Bath but also for everyone interested in the French language and French culture. There are subtitles in English ( des sous-titres en anglais). It is going to be fun, for more info….